Wikimedia Commons has media related to 1684 . 1684 ( MDCLXXXIV ) was a leap year starting on Saturday of the Gregorian calendar and a leap year starting on Tuesday of the Julian calendar , the 1684th year of the Common Era (CE) and Anno Domini (AD) designations, the 684th year of the 2nd millennium , the 84th year of the 17th century , and the 5th year of the 1680s decade. As of the start of 1684, the Gregorian calendar was 10 days ahead of the Julian calendar, which remained in localized use until 1923. 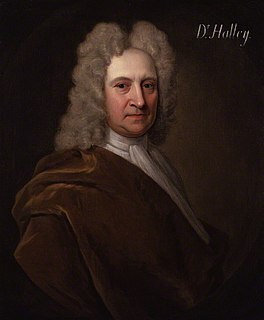 EdmondHalley, FRS was an English astronomer, geophysicist, mathematician, meteorologist, and physicist. He was the second Astronomer Royal in Britain, succeeding John Flamsteed in 1720. Sir Christopher Wren PRS FRS was an English anatomist, astronomer, geometer, and mathematician-physicist, as well as one of the most highly acclaimed English architects in history. 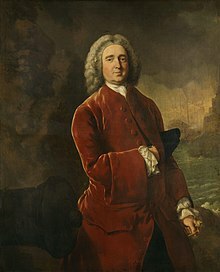 He was accorded responsibility for rebuilding 52 churches in the City of London after the Great Fire in 1666, including what is regarded as his masterpiece, St Paul's Cathedral, on Ludgate Hill, completed in 1710. July 21 – August 6 – Morean War: The Republic of Venice captures the Ottoman Fortress of Santa Maura. The Truce of Ratisbon, or Truce of Regensburg, concluded the War of the Reunions between Spain and the Holy Roman Empire on one hand and France on the other hand. The Truce was signed on 15 August 1684 at the Dominican convent in Ratisbon between Louis XIV, the Holy Roman Emperor, Leopold I, and the Spanish King, Charles II. The Spanish were involved as the owners of the Spanish Netherlands, which were part of the Holy Roman Empire. The final agreements allowed Louis to retain Strasbourg, Luxembourg, and most other Reunion gains, but he had to hand back Courtrai and Dixmude. Luxembourg, Courtrai, and Dixmude were in the Spanish Netherlands, whereas Strasbourg had been a free imperial city. 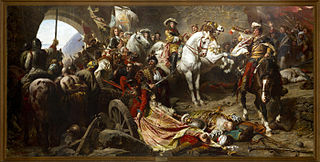 The truce was supposed to last twenty years, but Louis terminated it after four years by declaring war to the Dutch Republic on 16 November and by investing Philippsburg on 27 September 1688, thereby starting the Nine Years' War. The Maison Royale de Saint-Louis was a boarding school for girls set up in 1684 at Saint-Cyr in France by king Louis XIV at the request of his second wife, Madame de Maintenon, who wanted a school for girls from impoverished noble families. The establishment lost its leading role on the deaths of Louis and then Maintenon, but it nevertheless marked an evolution in female education under the Ancien Régime. 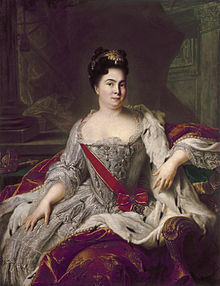 Its notable students included Maintenon's niece Marthe-Marguerite Le Valois de Villette de Mursay, marquise de Caylus, and Napoleon's sister Élisa Bonaparte, grand duchess of Tuscany. Saint-Cyr-l'École is a commune in the western suburbs of Paris, France. It is located 21.4 km (13.3 mi) from the center of Paris. December 10 – Isaac Newton's derivation of Kepler's laws from his theory of gravity, contained in the paper De motu corporum in gyrum , is read to the Royal Society by Edmond Halley. July 24 is the 205th day of the year in the Gregorian calendar. There are 160 days remaining until the end of the year. René-Robert Cavelier, Sieur de La Salle was a 17th century French explorer and fur trader in North America. He explored the Great Lakes region of the United States and Canada, the Mississippi River, and the Gulf of Mexico. He is best known for an early 1682 expedition in which he canoed the lower Mississippi River from the mouth of the Illinois River to the Gulf of Mexico and claimed the entire Mississippi River basin for France. John Bunyan writes The Pilgrim's Progress , Part 2, in England. Pope Innocent XI, born Benedetto Odescalchi, was Pope from 21 September 1676 to his death. He is known in Budapest as the "Saviour of Hungary". Venice is a city in northeastern Italy and the capital of the Veneto region. Arnold Drakenborch was a Dutch classical scholar. 1748 (MDCCXLVIII) was a leap year starting on Monday of the Gregorian calendar and a leap year starting on Friday of the Julian calendar, the 1748th year of the Common Era (CE) and Anno Domini (AD) designations, the 748th year of the 2nd millennium, the 48th year of the 18th century, and the 9th year of the 1740s decade. As of the start of 1748, the Gregorian calendar was 11 days ahead of the Julian calendar, which remained in localized use until 1923. 1685 (MDCLXXXV) was a common year starting on Monday of the Gregorian calendar and a common year starting on Thursday of the Julian calendar, the 1685th year of the Common Era (CE) and Anno Domini (AD) designations, the 685th year of the 2nd millennium, the 85th year of the 17th century, and the 6th year of the 1680s decade. As of the start of 1685, the Gregorian calendar was 10 days ahead of the Julian calendar, which remained in localized use until 1923. 1646 (MDCXLVI) was a common year starting on Monday of the Gregorian calendar and a common year starting on Thursday of the Julian calendar, the 1646th year of the Common Era (CE) and Anno Domini (AD) designations, the 646th year of the 2nd millennium, the 46th year of the 17th century, and the 7th year of the 1640s decade. As of the start of 1646, the Gregorian calendar was 10 days ahead of the Julian calendar, which remained in localized use until 1923. 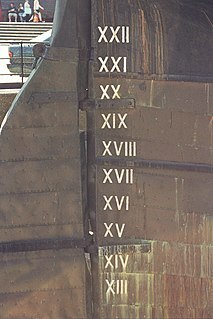 It is one of eight years (CE) to contain each Roman numeral once. 1655 (MDCLV) was a common year starting on Friday of the Gregorian calendar and a common year starting on Monday of the Julian calendar, the 1655th year of the Common Era (CE) and Anno Domini (AD) designations, the 655th year of the 2nd millennium, the 55th year of the 17th century, and the 6th year of the 1650s decade. As of the start of 1655, the Gregorian calendar was 10 days ahead of the Julian calendar, which remained in localized use until 1923. 1675 (MDCLXXV) was a common year starting on Tuesday of the Gregorian calendar and a common year starting on Friday of the Julian calendar, the 1675th year of the Common Era (CE) and Anno Domini (AD) designations, the 675th year of the 2nd millennium, the 75th year of the 17th century, and the 6th year of the 1670s decade. As of the start of 1675, the Gregorian calendar was 10 days ahead of the Julian calendar, which remained in localized use until 1923. ↑ Stratton, J. M. (1969). Agricultural Records. John Baker. ISBN 0-212-97022-4.